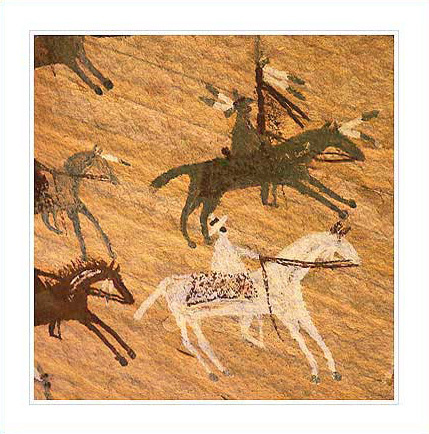 Rock Art consists of images either painted or pecked onto rock surfaces. 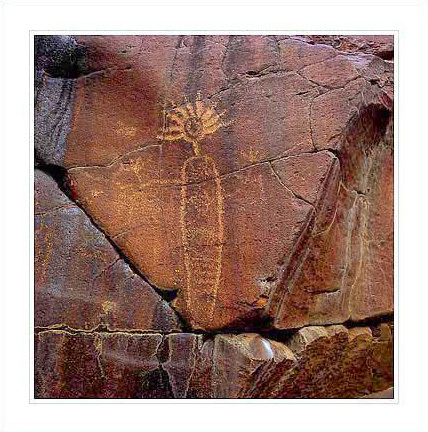 These images have been created by Native Americans from prehistoric to historic times. 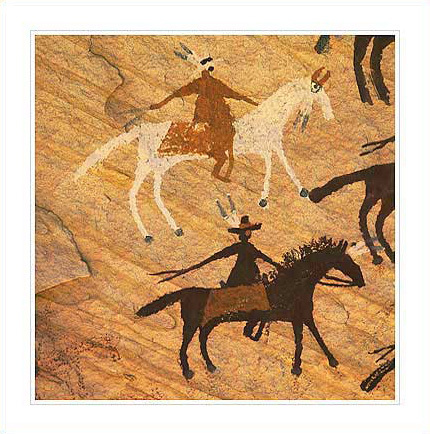 Although dating rock art is difficult it is usually accepted that some images found in the Southwest may have been created several thousand years ago. 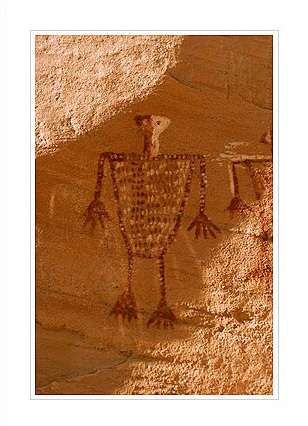 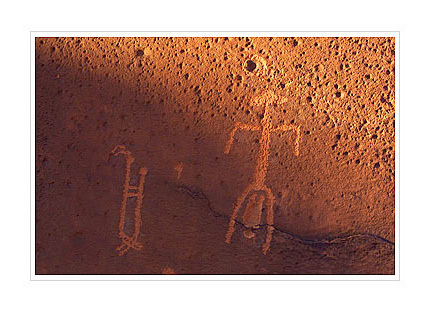 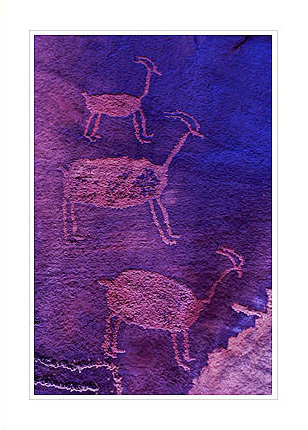 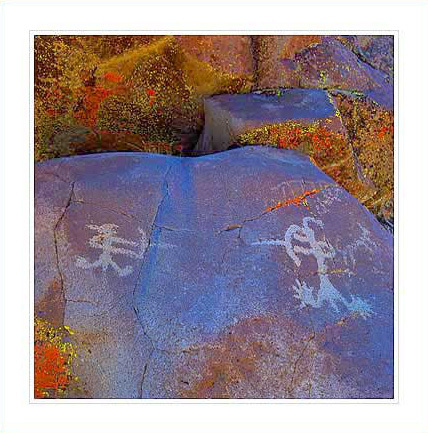 Painted images are called pictographs while pecked or carved images are called petroglyphs. 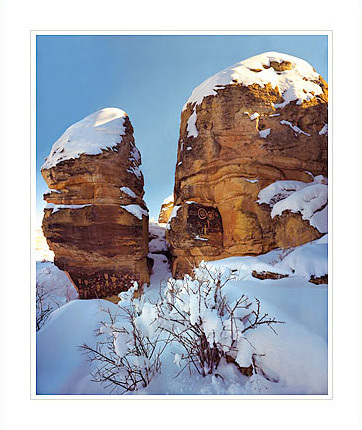 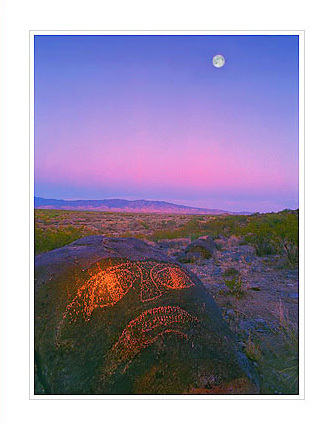 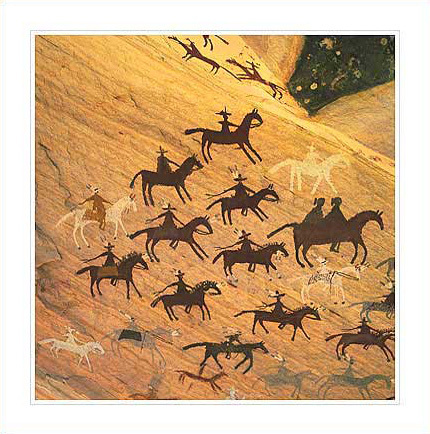 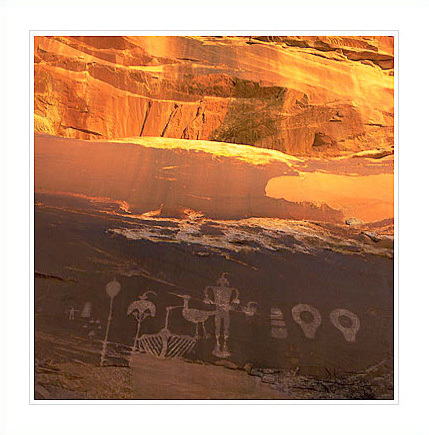 Many rock art panels are located in remote locations . 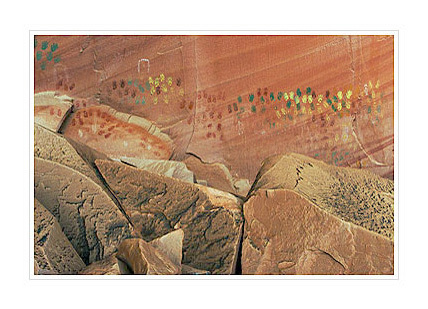 Exploration and hiking are required to locate these panels. 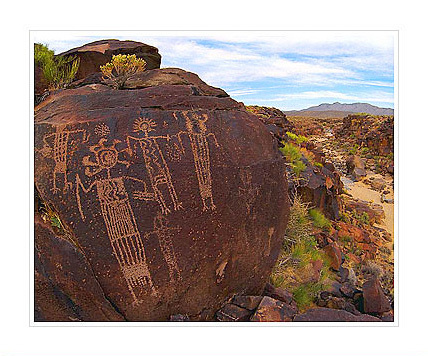 Living on the Navajo reservation has allowed me to spend a lot of time searching for rock art sites. 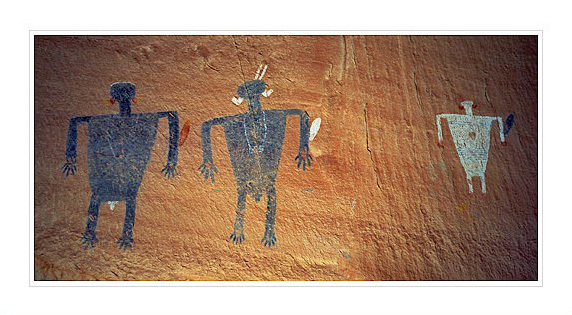 I have been fortunate to discover many sites which may not have been previously known to white people. 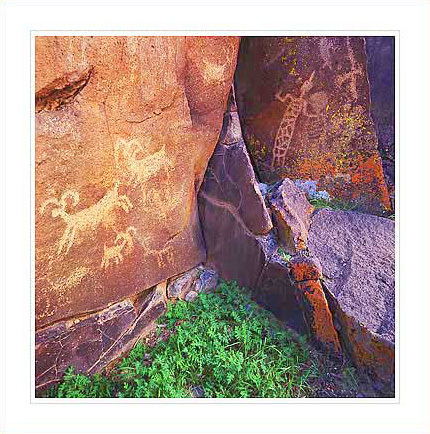 The thrill of discovery is an unmatched experience which quickly becomes addictive and so is the excitement of bringing back images which document this discovery. 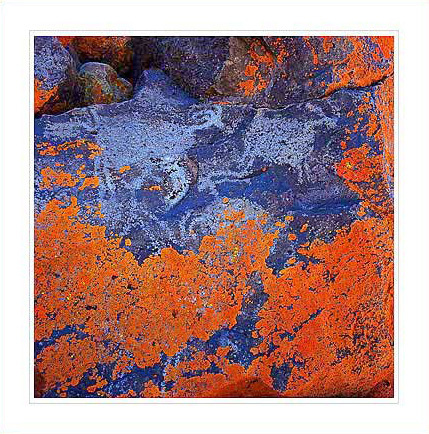 In my work I separate rock art images in two categories: close-ups which show the rock art and little else and environmental shots which show the rock art in the context of the landscape in which it is found. 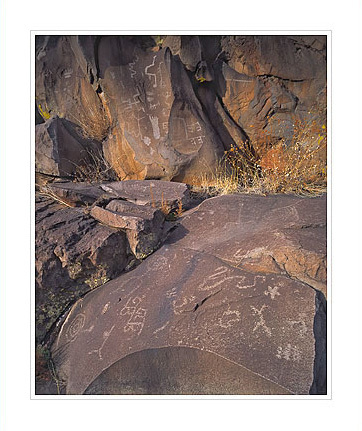 While the former category places the interest solely in the rock art images the latter category places the emphasis both on the rock art and on the landscape in which it is located. 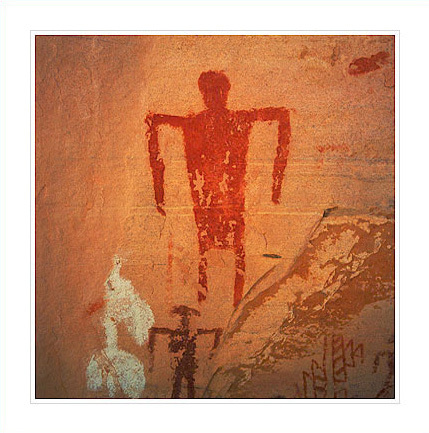 I belong to several associations whose goal is both to study and protect rock art such as ARARA, the American Rock Art Research Association, and URARA, the Utah Rock Art Research Association. 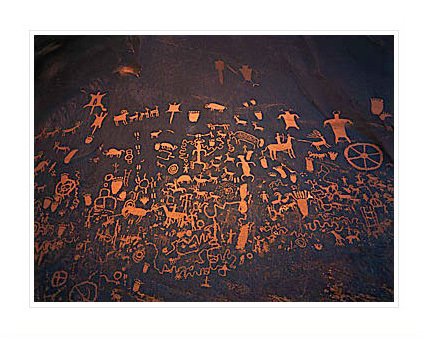 Study of rock art is difficult because little is known about its purpose and yet important since rock art may contain significant clues to the life of prehistoric cultures in the Southwest. 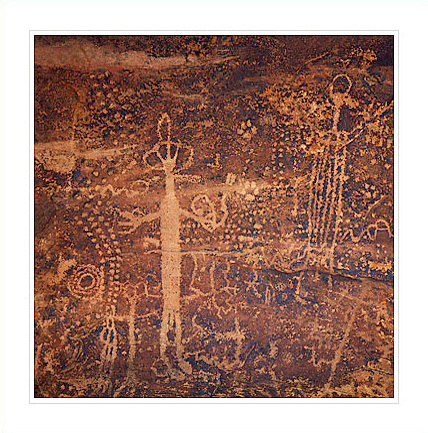 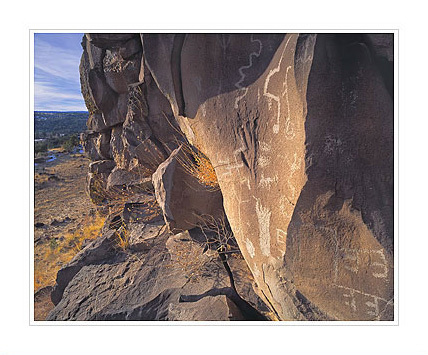 Rock art is our fragile heritage granted to us by Native Americans who inhabited the American Southwest while our ancestors were still in Europe. 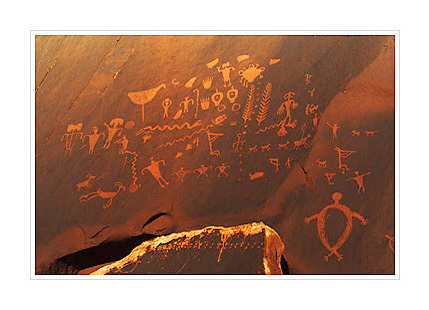 Today the protection of this heritage is left to us. 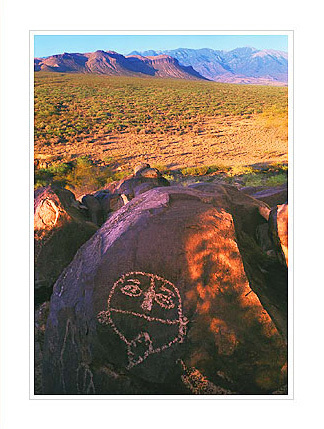 Rock Art is fragile and can be easily damaged by vandalism and carelessness. 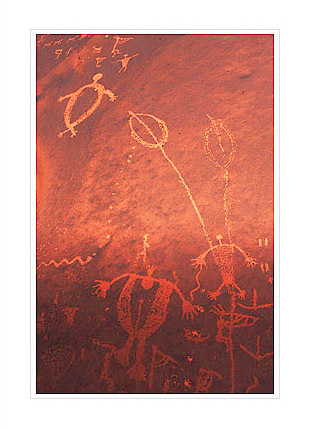 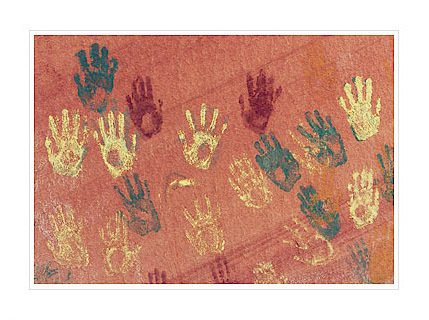 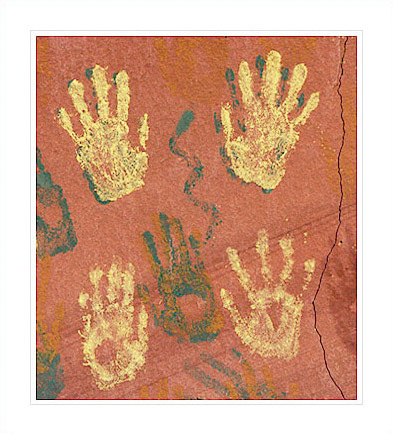 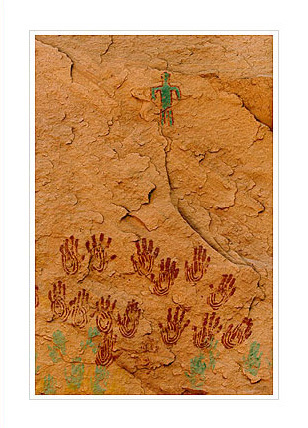 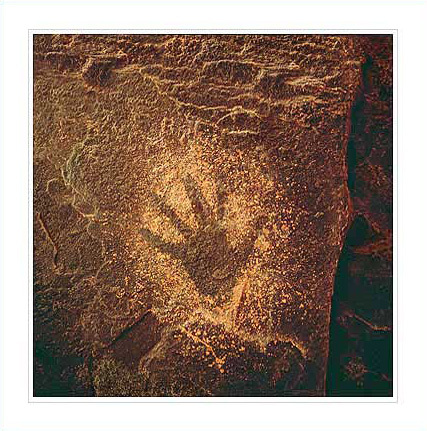 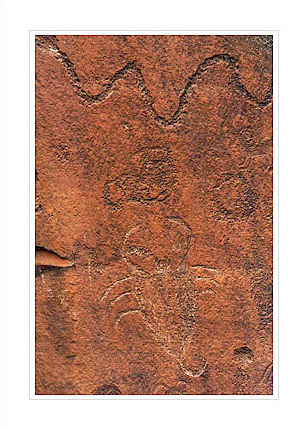 For example, simply touching rock art can cause damage since our skin contains oils which are harmful to these images. 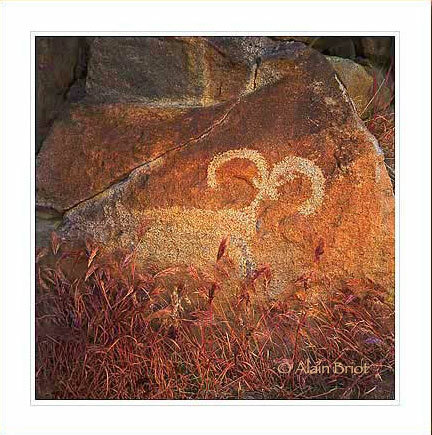 If you visit a rock art site please be careful and teach others to be careful as well. 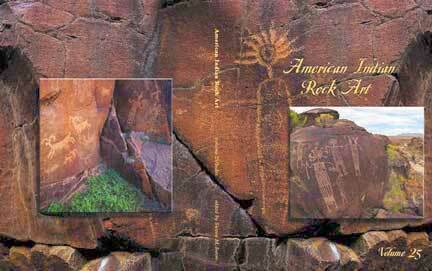 At this time many rock art sites are protected by secrecy. 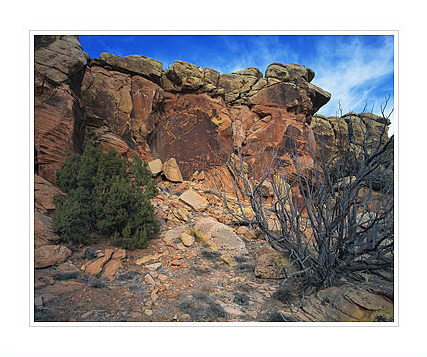 Not revealing their location keeps potential vandals away from these sensitive locations. 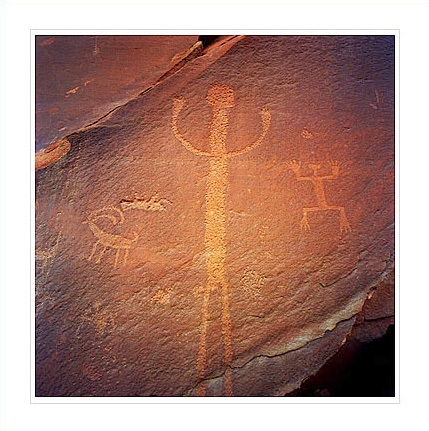 I follow this approach in this web site by not indicating the exact locations where the photographs were taken. 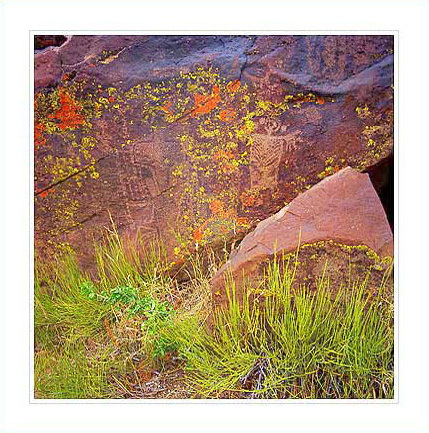 Many rock art sites have been designated for public access and efforts have been made to protect them. 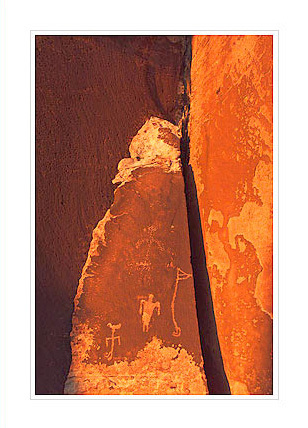 The location of these sites is provided in most guide books on the Southwest.